Want a unique Valentines Day gift for your loved one? Send them a ‘Singing Telegram’. “We want to bring joy to people and it’s hilarious seeing people’s reactions when we turn up singing,” said organizer Melissa Wickersham. Wickersham said it all started three years ago when they visited her 97-year-old grandmother singing on Valentine’s Day. 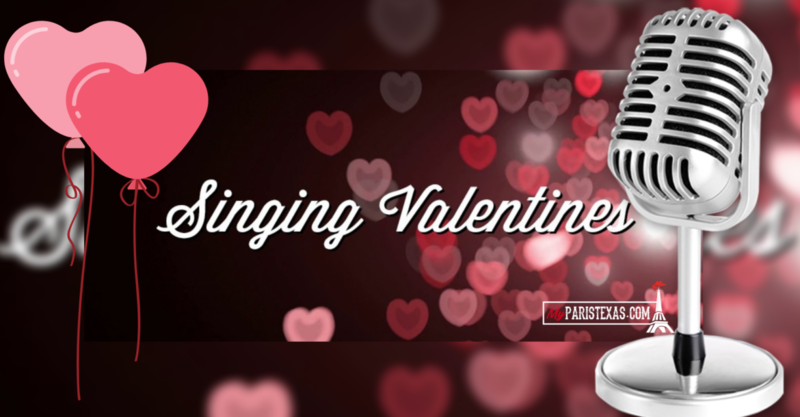 A singing telegram costs $25 and can be delivered anywhere in Paris and most of Lamar County. Those songs include Head Over Boots by Jon Pardi, You Are My Sunshine by Johhny Cash, Can’t Help Falling In Love by Elvis Presley, A Thousand Years by Christina Perri or Perfect by Ed Sheeran.